When I read Olivia Beirne’s The List that Changed my Life, I started thinking about my own bucket list. What would I add on? What is never going on it ever? What’s on Olivia’s bucket list? I sat down and put my own list together, and I asked Olivia if she had a list for herself. Luckily, Olivia has quite the list to bring to us. Take a look at how The List that Changed my Life came about, and what would appear on her own list. As part of mykindabook’s blog tour for Floored. When the chance to take part in the blog tour for Floored came about I pretty much fell over myself to sign up. It’s an incredible book, and I was hooked upon the idea. But, what I loved most about this blog tour was that it isn’t just a review based tour, but you had a lot of creative freedom to post whatever you pleased. So, for my post I’ve created a character profile based upon one of the first lines from one of the chapters of Floored; “are you alright Mum?” Ladies and gentlemen, meet Audrey. 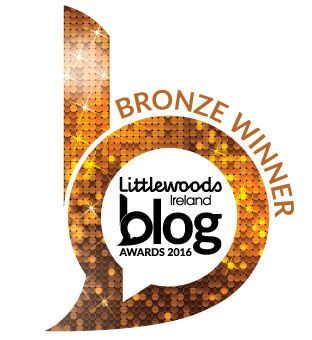 The national finals of the Littlewoods Ireland Blog Awards were held during the week, and yours truly was a finalist in the Books and Literature category. Before I go into how the night went, let’s take an X Factor style journey over how I got to the finalist stage. The awards opened in June of this year, with the nomination stage running for two weeks until June 26th. As that’s the day before my birthday, I decided to wait and see if I would be nominated rather than popping myself in. Imagine it. Four years ago I was sat on my bed to-ing and fro-ing over whether or not to push that publish button. Fast forward to now and a whole lot has changed. I’ve been at this blogging lark for four years today (in fact, it was roughly around this time when I published my first post) and, like every basic white girl, I’ve learned so much from the experience it’s crazy.